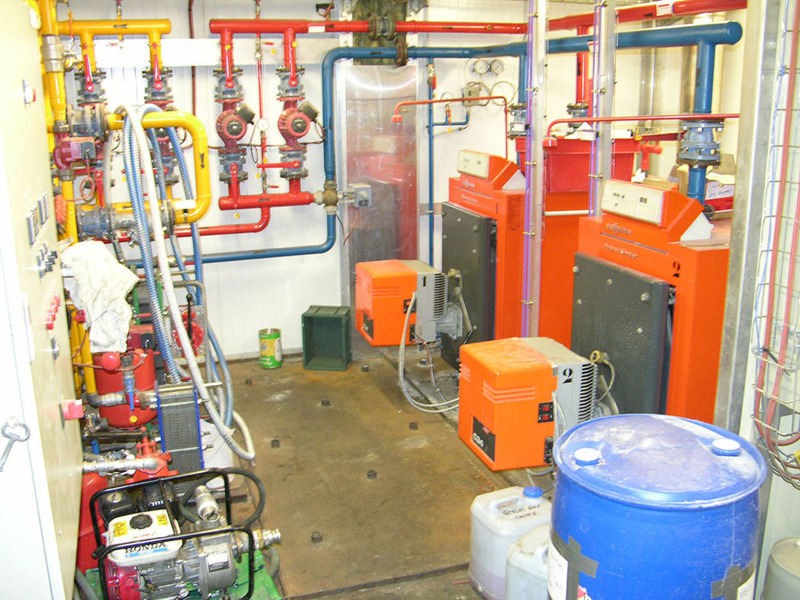 The heating circuit is separated into three independent heat exchangers. There are three distinct circuits: ‘Production’, ‘Transport’ and ‘Utilization’. In the event of a fault, by-passes allow part or all of a circuit to be isolated. 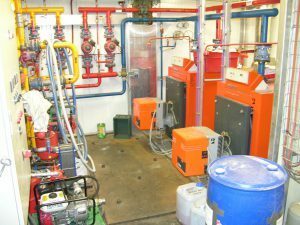 Additional redundant systems allow damaged or malfunctioning heating devices to be replaced, or to cool a loop if cooling via thermal loss in the heating unit is not functioning. 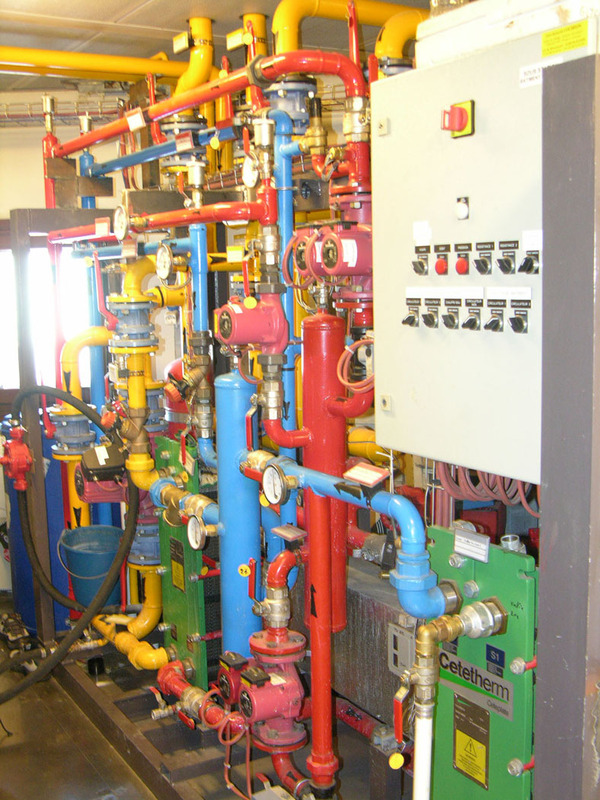 Secondary circuits recover heat from the primary circuit through exchangers to directly heat the base’s buildings. 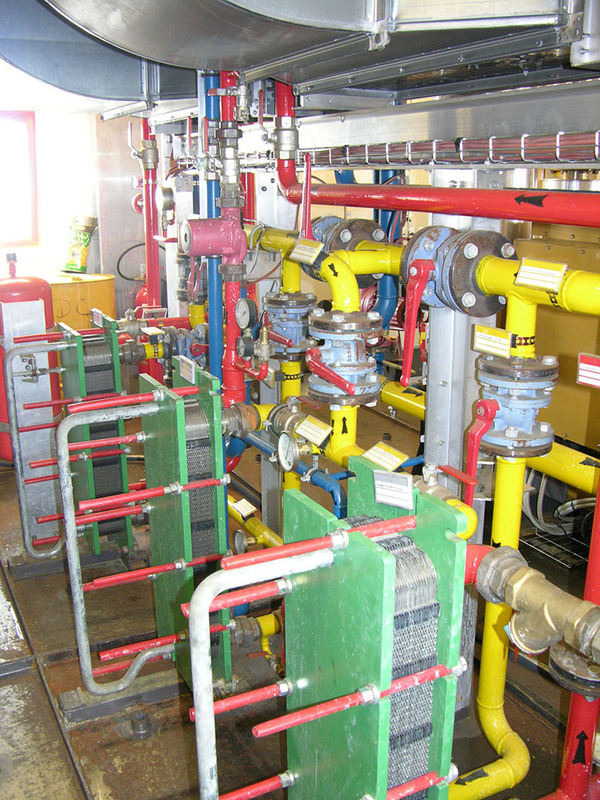 This configuration allows great flexibility and safety in management of the heating system. 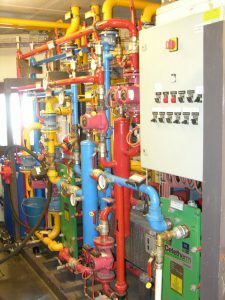 The jacket-water cooling circuit and the exhaust cooling circuit operate by delivering heat out through individual exchangers into the transport circuit. If cooling is insufficient, progressive three-way valves direct some of the cooling water flow towards a bank of radiators. On the other hand, if the temperature at the discharge of the heat recovery circuit is too low, boilers are automatically actuated to fulfill the energetic demand.